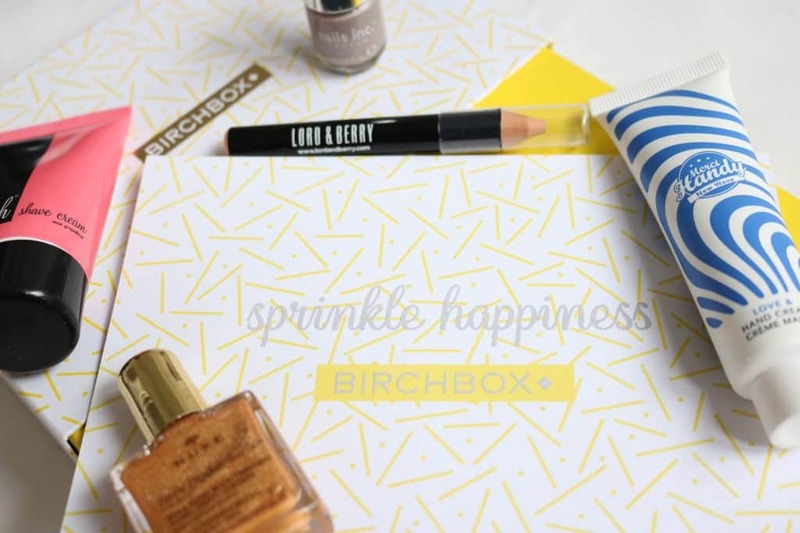 This month’s Birchbox was a whopper of a good’un – a brilliant variety of products which have almost all exceeded my expectations. I also absolutely adore the ‘sprinkle happiness’ message – what a positive way to start off 2017! The information booklet even had some ‘to-do’ tick boxes to kick 2017 off to a strong start, with ideas like ‘create a positivity playlist‘ (hello Spotify!) and ‘take 10 minutes to get to grips with meditation‘. Let’s explore this month’s products! 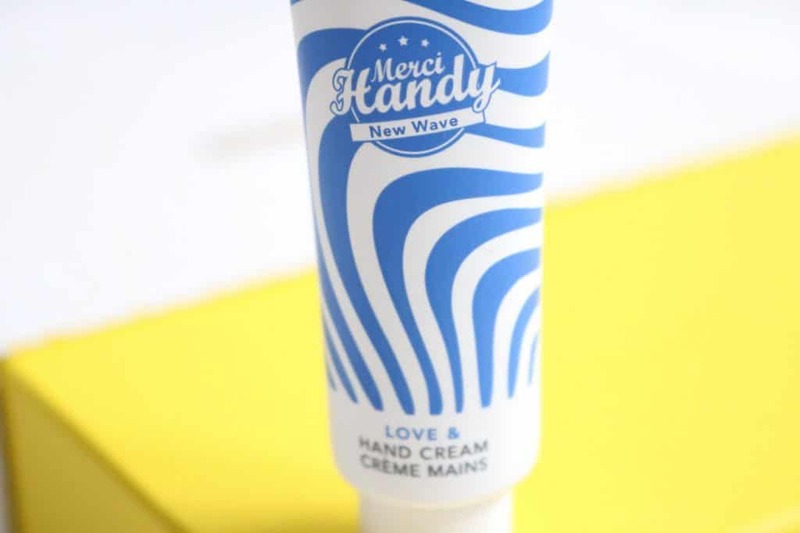 I absolutely LOVE a good hand cream, so it isn’t a surprise I’ve fallen in love with this Merci Handy hand cream! With a funky design and sturdy packaging it makes the best desktop handcream for whilst I’m at work, too. It leaves your hands so soft and has these little balls (not the horrid plastic ones that ruin seas, more like compressed balls of super softening hand cream) that when you rub your hands together melt and spread their beautiful softness. I just honestly love this hand cream so much – thank you SO much Birchbox for introducing it to me! Nails Inc is a brand I have a love/hate relationship with. 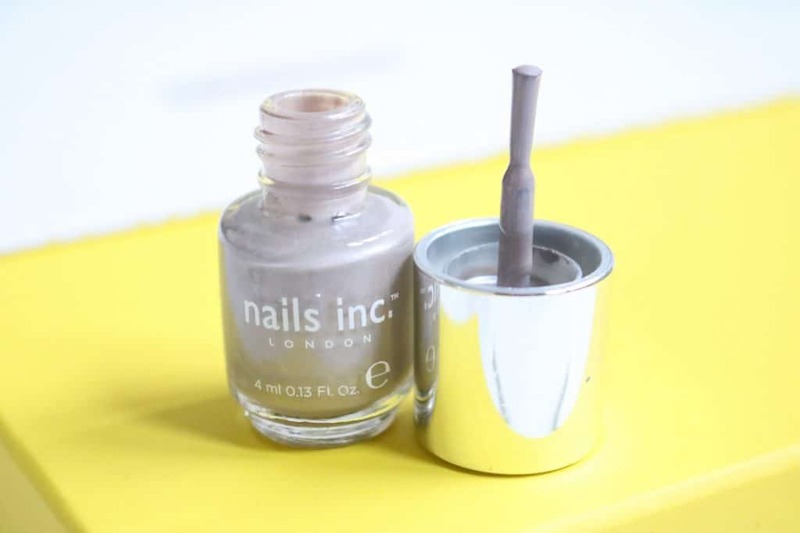 When I first tried nails inc a good few years ago, I fell in love with the colour choices but found they chipped awfully quickly. They must be changing their formulas regularly, however, as over the years this has definitely improved. In this month’s Birchbox, I received a gorgeous shade of silvery grey with purpley undertones. It’s beautiful and perfect for winter! Two coats (without a topcoat may I add) has lasted nearly a full week with only slight chips to the tip of my most used fingers (i.e. my little fingers and ring fingers are still pristine!). This is pretty darn impressive seeing as I didn’t bother with a top coat to really put it through a tough test! 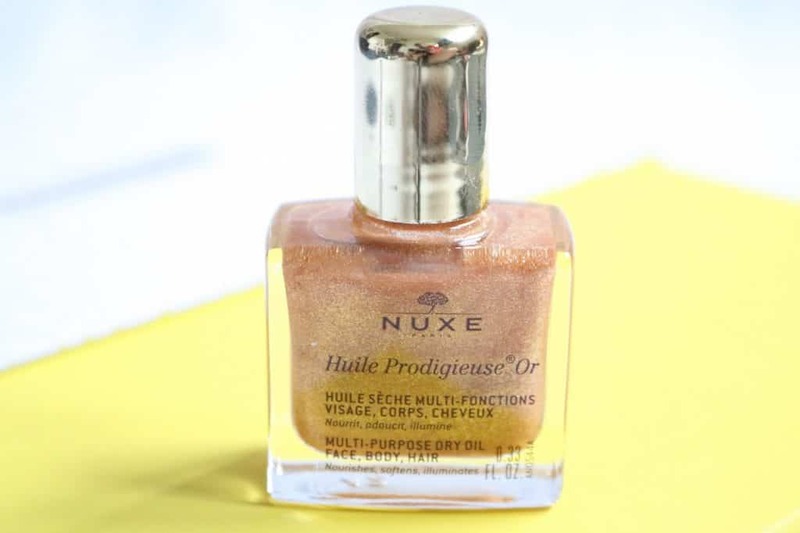 This Nuxe Multi-Usage Dry Oil Shimmer is something I actually already own as I received it in my October Glossybox. 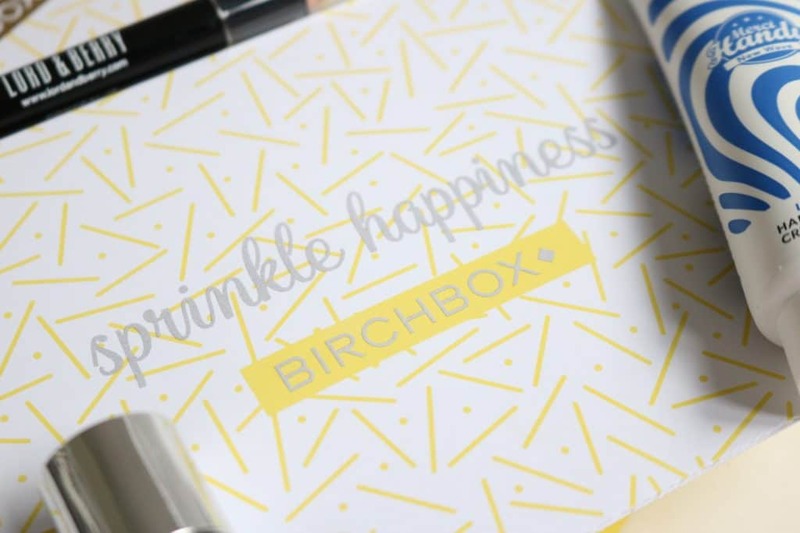 Hey – this just proves it must be a pretty awesome product if both Birchbox and Glossybox are backing it! I also love the original oil which is without the shimmer, but this is perfect for a glam, dewy makeup look (lather it on your face a few hours before and allow the oil to really sink in – by the time it comes to do your makeup it won’t be like a glitter bomb but instead a soft, healthy sheen) or alternatively you can use it on your legs, hair, collarbones – wherever you want an extra bit of shine and glow! It’s not drying, is ultra hydrating, and I love the fact it’s multipurpose. I’m a sucker for something with more than one use – it just seems like you get so much more for your money that way! The Whish Shave Crave Shaving Cream I must say was one of the products I found slightly disappointing in this month’s Birchbox – hey, it’s hard to please absolutely everyone with every product, right!? I like shaving creams to be really thick and luxurious to aid in the avoidance of razor bumps, ingrown hairs and stubble, but unfortunately this cream is fairly thin. It did avoid ingrown hairs and razor bumps – I’ll give it that – but even with a brand new razor I found that for some reason my shave wasn’t as close to the skin as normal. 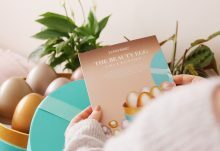 I tried it on both my legs and underarms and honestly I just wasn’t that impressed – whilst it was good to try out a new shaving cream (isn’t this the purpose of beauty subscription boxes – to try out new products you wouldn’t normally? ), this isn’t a product I would ever buy myself. Last but not least we have the Lord & Berry Conceal-It Crayon in Beige. I love Lord & Berry products – I own a few of their lip crayons which I absolutely adore. 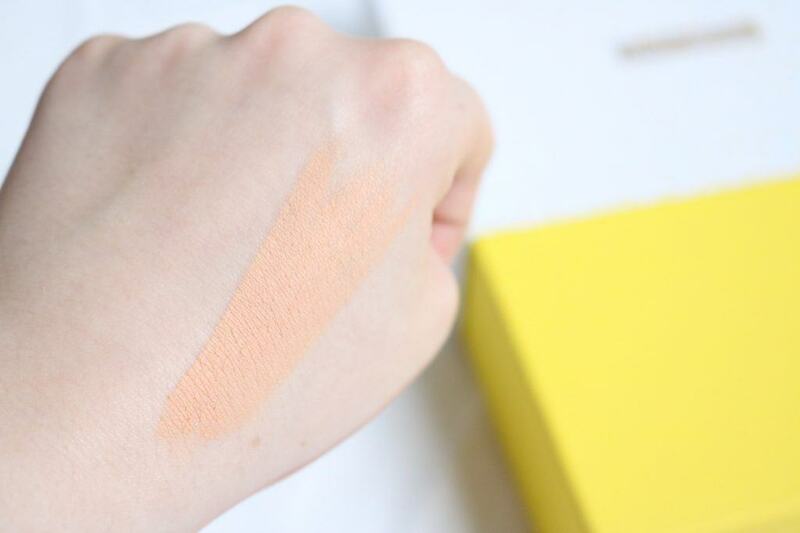 Their concealer crayon definitely doesn’t disappoint in quality – it’s the right softness to glide on your skin without applying excess product, blends well with your finger or beauty blender, and is small enough to pop in your bag for touch ups. It is just a shame that the colour is a little too dark for me – I’m a pale polly! It blends well on a full coverage glam look, but is too dark for day to day wear, unfortunately. 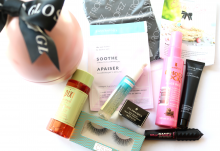 Overall, this was another brilliant box from Birchbox with an excellent variety of product types, full of essentials to give your beauty regime a kick-start into 2017!